Can you believe it’s already 5 days into May? I was just getting used to the idea of April and then May came along and punched me in the face. Almost half way through the year and I feel older by the second. I moved home from uni this week and after much (and I really mean much) effort in packing two cars full of my belongings, I came back home where I realised nothing had a place in my room anymore. 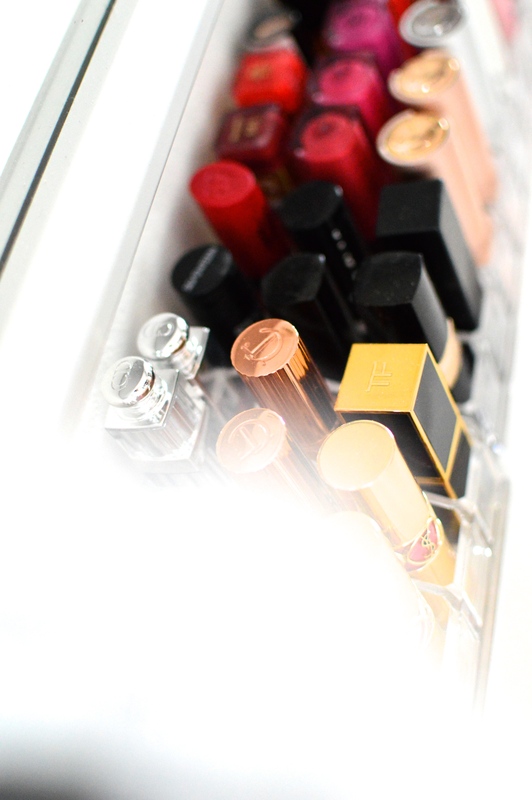 My clothes had nowhere to go, my shoes were lined up around the edge of the room and the makeup…. Ah the makeup. 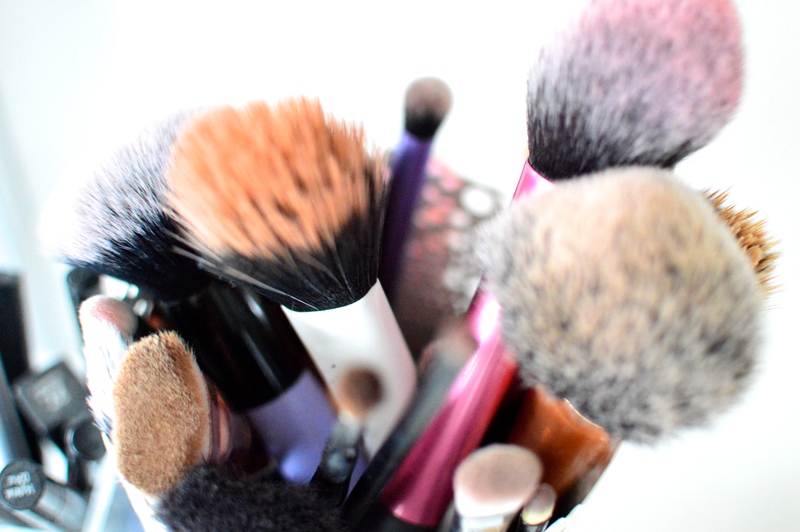 Makeup is my weakness, my guilty pleasure. No matter how many times my mum will try to convince me otherwise, there is always a need for nine shades of red lipstick right? Right?! 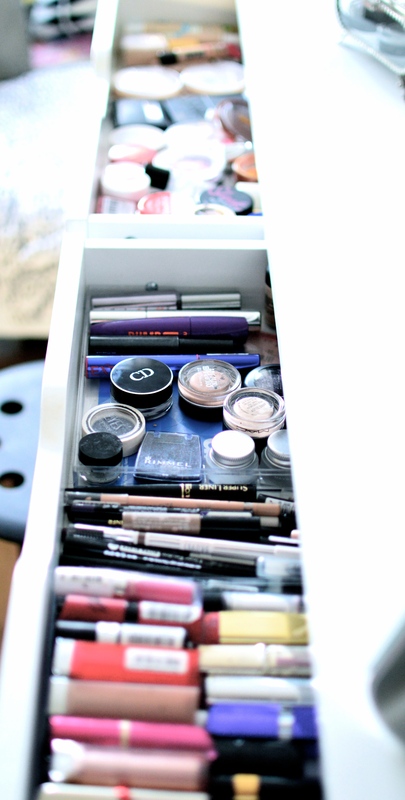 Having grossly misjudged my hoarding capabilities, I finally decided to sort out my (life) makeup once and for all, the results of which are shown below. All I can say is, all hail Muji and Home Sense. 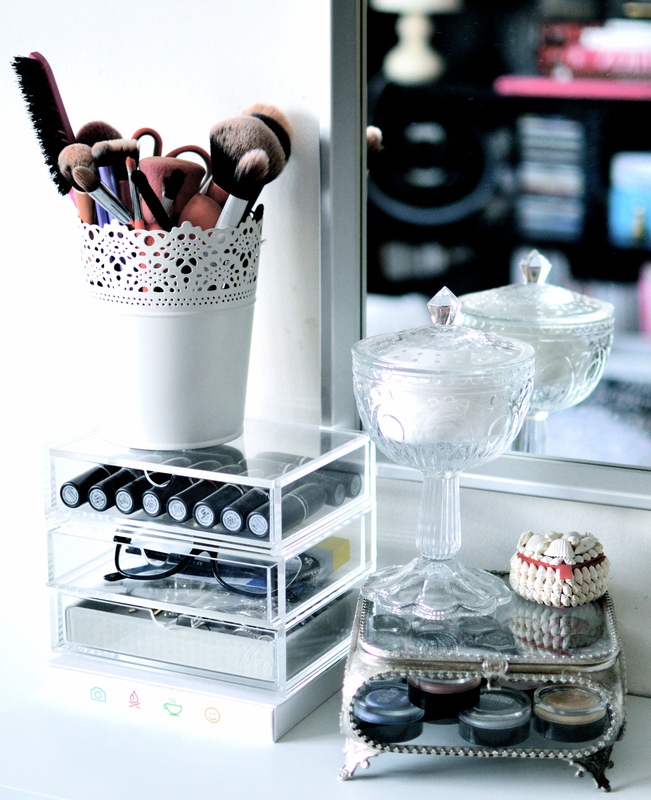 Makeup brush holder is actually a small plant pot from IKEA, brushes are mostly Real Techniques (all are dirty, been putting it off), acrylic drawer set from Muji, glass jar filled with cotton pads from IKEA and metal and glass container for single eyeshadows from Home Sense. 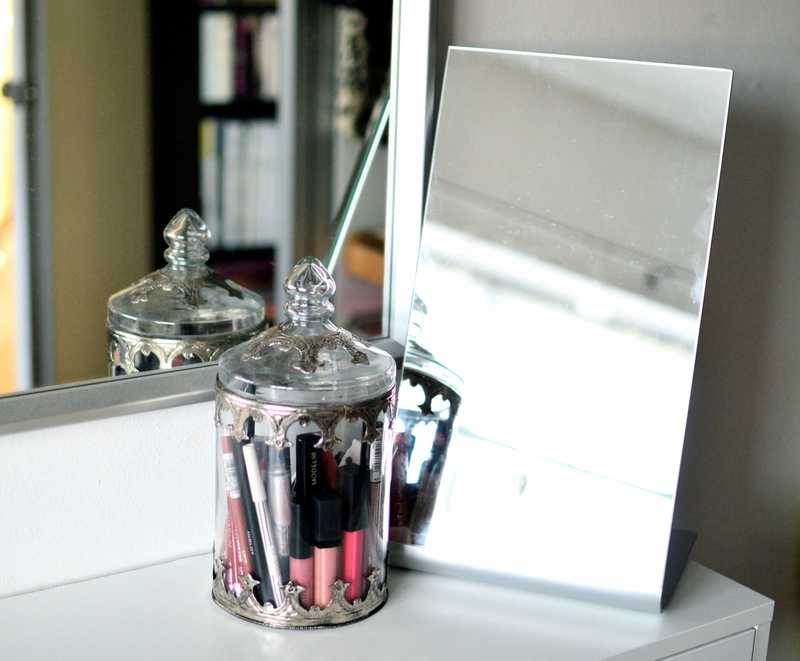 Mirror from IKEA, glass container for lip liners and lip glosses from Home Sense. 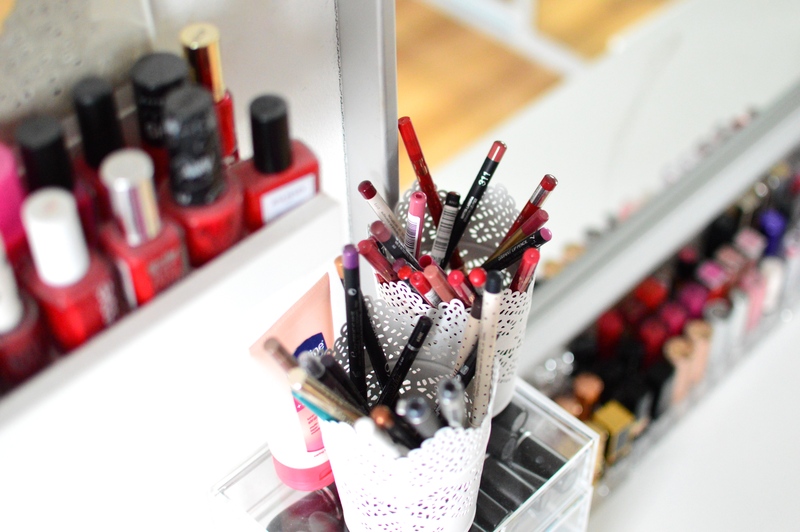 Muji acrylic drawer set, perfect for storing all of my MAC lipsticks. 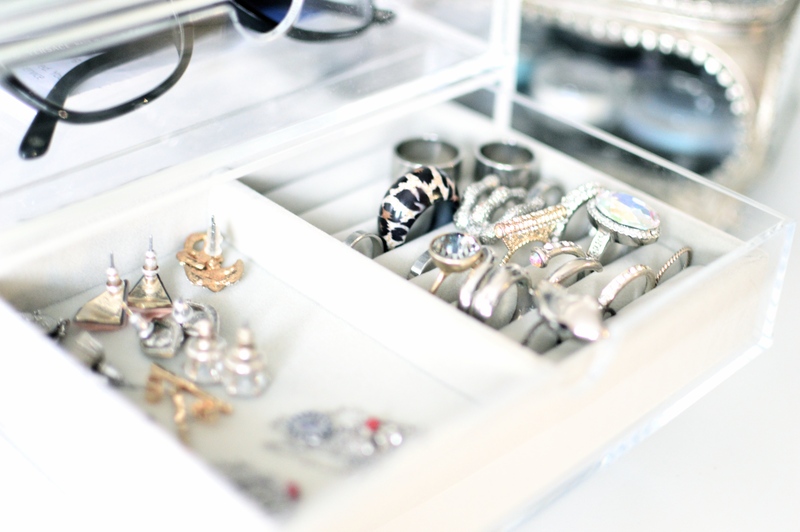 The bottom drawer of the set has a jewellery divider. 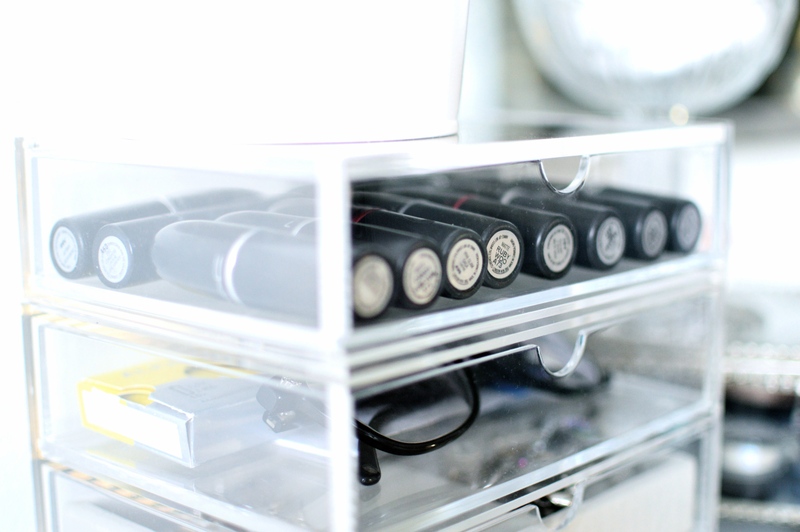 I swear Muji is the best thing to happen to makeup/jewellery hoarders like myself. 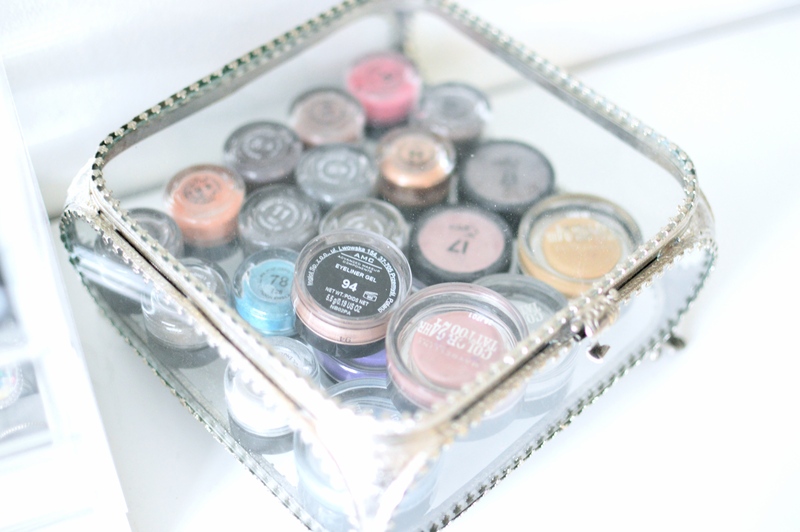 The glass container that I keep some of my cream and single eyeshadows in, it was something crazy like £5.99 in Home Sense. Rather a lot of makeup. 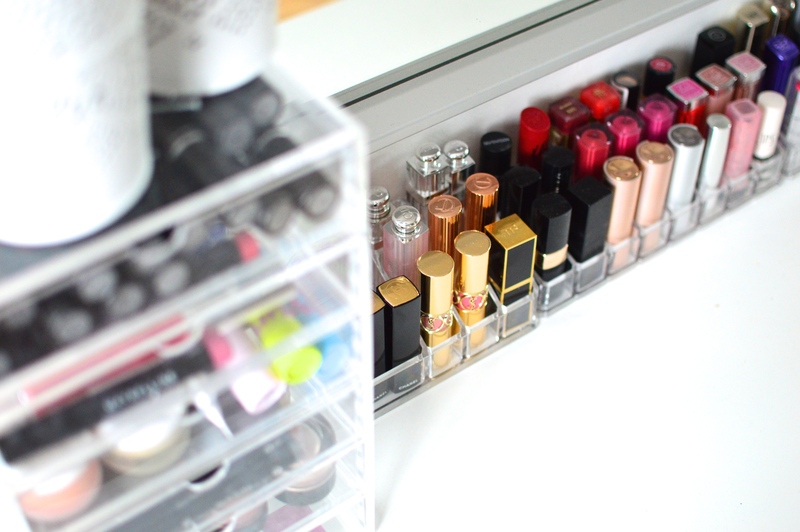 I have another set of drawers underneath this unit that hold all my eyeshadow palettes, perfumes, skincare and haircare.